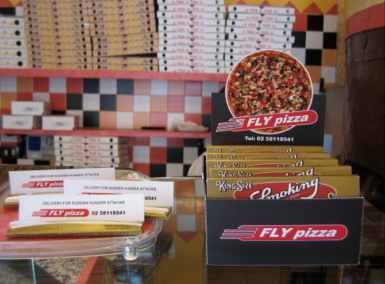 In a stroke of genius, Italy's FLY PIZZA used packages of rolling paper as business cards to promote its night delivery service. For Johnson & Johnson's Aveeno label, Ogilvy commissioned a street artist to create a three-dimensional "fountain of youth" with chalk on pavement. See a sped-up video of how the drawing was made. It's sorta like watching a Bob Ross segment, except too fast for you to follow and there aren't any "happy trees." Of late, Ogilvy's totally stuck on this street art thing. See what it did for IBM and Tom of Finland. If it keeps this up, subversive street punks might actually go back to using Sharpies and aerosol paint. It'll be like the '80s again. 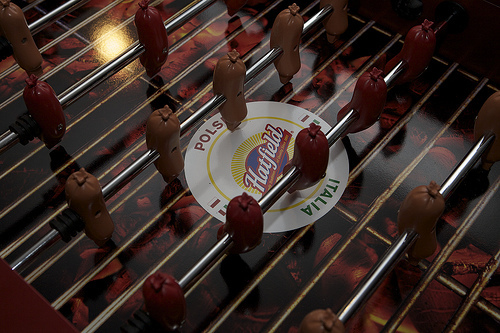 For Hatfield Quality Meats, Red Tettemer built a foosball table where sausage links take the place of soccer players. The set-up brings a grill to mind, but unfortunately all the sausages are plastic. The game will be used at events and sponsorships. Neat way to build engagement. Wondering whether it might compel stoned co-eds to try building their own foosball tables out of cocktail links and bamboo skewers. Will trawl YouTube regularly, just in case. 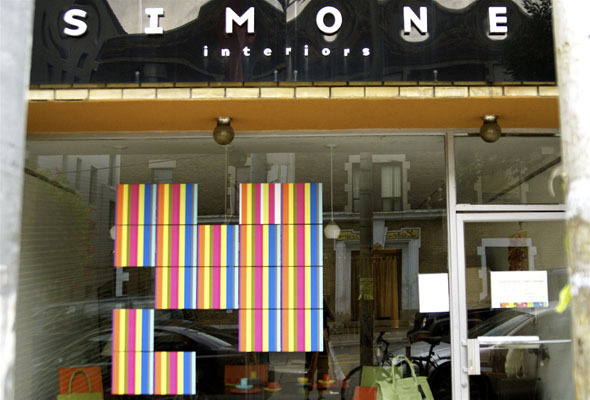 Toronto-based furniture shop Simone Interiors now sells art created by the company owner, Lin Gibson. To promote this happy news, Gibson created a bunch of LP album-sized posters with multicolored bars and stuck them in local store windows -- with no accompanying explanation. Roger Cullman over at BlogTO has more pictures. 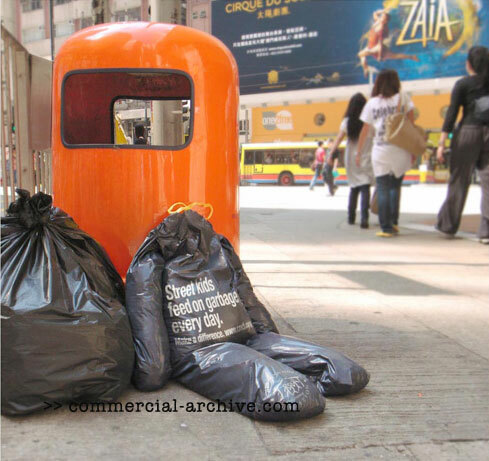 He also wonders whether passers-by noticed the installations. Commenters say they did, but nobody knew for sure what the promotion was all about. "We thought it was one of those new gangs declaring their territory. Obviously, it turns out it was only those hipsters doing their hipster things," ruminated a reader called SCREWFACE. 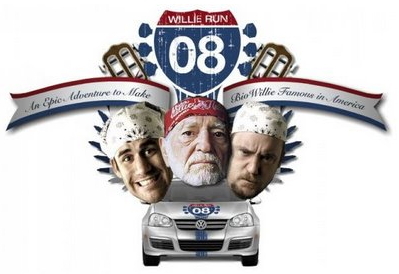 All this to promote Willie Nelson's brand of biodiesel, aptly named BioWillie. The mission's been dubbed WillieRun and you can follow the hijinks (of which I'm sure there'll be many) from their blog. Seriously though, no pee break? I refuse to believe it. You guys have gotta be carrying empty Gatorade bottles or somethin'. Find out for yourself at their kick-off party, which takes place Sept. 22nd at the XR Bar. More details at the blog link above. And big-ups to Brian Thompson for passing this news along.